The risk landscape is changing and the experience of campaigning in Iraq and Afghanistan reflects the reality of twenty-first century conflict: congested, contested and confused with multiple stakeholders – and subject to the demands and pressures of globalisation and 24-hour media coverage. In order to achieve the desired outcome, commanders have to take into account the views, needs and power of indigenous people, governments, international organisations, diplomats, government aid agencies, humanitarian organisations and non-governmental organisations – all of which places a premium on winning popular consent. Operations need to be subjected to the criterion: what impact will this have on the minds of the people, in the widest sense of the word? If people are alienated, the advantage is gifted to the adversary. This means people-centric – or perhaps in more familiar jargon, stakeholder-centric – campaign planning. But this complexity and the need for people-centric planning is not confined to the military world. Business too faces similar changes to the risk landscape. 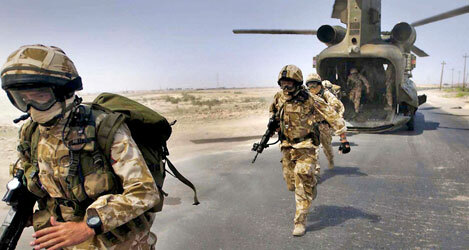 The experience and methodology applied by the military in campaigning is relevant too for business, particularly when operating in complex, volatile and uncertain environments, such as a gold mine in West Africa, fracking in northern England, or running an international bank in central London. The complexity of recent campaigns has demonstrated that security cannot be achieved solely through the application of military force. Such an approach may be a key part of building security physically, but security must be perceived by the people among whom operations are conducted, so there is a moral aspect too. Thus security is as dependent on good governance, as it is on adequately trained and relatively incorrupt indigenous security forces, and on reconstruction and economic development. So, success depends on the closest possible integration between the military and the non-military actors on the stage if unity of purpose is to be achieved. The military has adapted to meet this challenge: avoiding any fortress or silo mentality, opening its doors and developing the relationships, structures, culture and language to make it work. The key principle which underpins everything is, whatever we do alone is not as important as what we can do together. For the military, how it engages with its friends is as much a concern as how it deals with its adversaries: the essence of what the military calls the comprehensive approach. These changes also reflect the challenges faced by business in the 21st Century. The business world is now, in its own way, equally, if not more, complex. Take the extractive and oil and gas industries. They too must take account of the multitude of stakeholders who have an interest in what they do because the impact of globalisation and 24-hour media (particularly social media) now gives an increasingly influential voice to stakeholders potentially opposed to their interests. Any sector must recognise that it will be operating “among the people” because there will always be stakeholders with an interest in its activity. Those stakeholders have a voice which if ignored or denied can threaten company reputation and jeopardise commercial success. 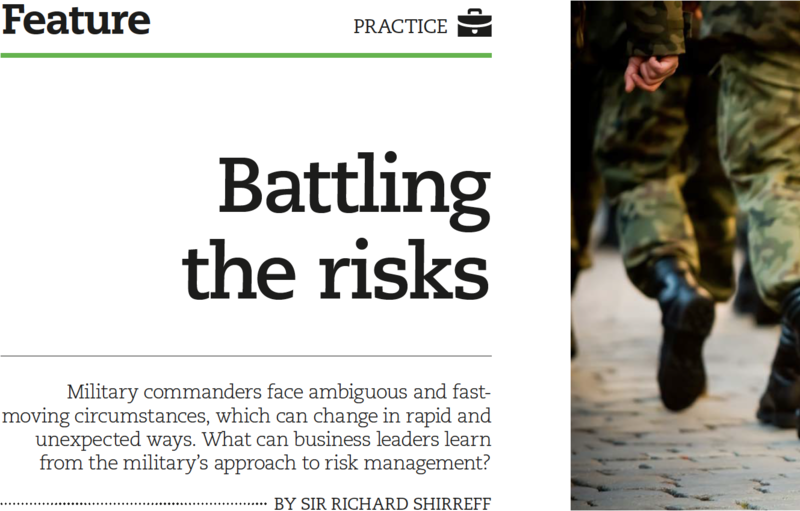 This suggests that the comprehensive approach adopted by the military to manage risk is now equally relevant in other sectors, particularly for capital projects in difficult, complex and volatile environments. A similar integrated, multidisciplinary approach to that found on the battlefield is also needed to ensure that boards properly understand the environment in which they are operating and are equipped with the mechanisms to ensure that risk, or whatever threatens a company’s centre of gravity, is appropriately mitigated. How to meet this challenge? First, is the need for a deep and comprehensive understanding of the environment. Without understanding the economic, social, technological, ethical, media, political, legal, environmental and regulatory forces at work you cannot derive the right tools, structures and proficiencies required. Finally, successful execution of strategy depends on what the military call mission command, which means that subordinates must be empowered, supported and resourced – but they must also be accountable. In the military world, success is dependent on trusting the people on the ground to use their initiative. They can see what is happening and they can understand the risks, the challenges and the opportunities infinitely better than anyone sitting back in a remote headquarters or head office. But they must use their initiative in line with the overall strategy. They must be crystal clear about the intent and what is to be achieved. Senior leadership must ensure, not only that the strategic intent is clear and well understood, but that the front line has the resources and functional support, including strategic level assets, needed to achieve the mission – and then let them get on with it. But this needs trust and trust takes time to build. But mission command does not mean delegation of responsibility. In the military world, command is indivisible responsible for everything, including leadership and templates of decision making do not necessarily serve one well in complex situations where there are no right answers, just limited choices between the least wrong ones risk. Risk management is factored in to every aspect of the decision-making process. Every commander is his or her own risk manager. Fundamental to the management of risk is effective campaign planning: strategy implementation. This starts with understanding the conditions to be achieved to meet the needs of strategy effectively, the campaign end-state, or the desired set of circumstances. Next, an analysis of stakeholders’ centres of gravity (or sources of strength) determines the objectives and decisive conditions to be achieved in order to ensure that stakeholders become allies rather than adversaries. From this are derived activities to achieve the decisive conditions. Planning along these lines ensures that there is proper integration between different activities. Risks are identified and the second and third order impacts of one risk on another and the relationship between risks are understood and planned for. For example, a mining company planning its engineering operations needs to think through the implications of this on the community and on the sustainability of its lines of operation. Easily said, but it is remarkable how many companies have got this wrong – and paid through the nose for a failure to establish an integrated campaign plan to manage inter-related risks from the start of the project. Effective campaign planning also requires companies to have the philosophy and structures to be able to conduct integrated planning and execution with key stakeholders. There are two aspects to this. First, the establishment of the plugs and sockets to allow a company to reach out and work alongside those organisations reluctant to accept too close a corporate link. Second, the requirement for a multi.disciplinary team at the heart of corporate strategic planning capable of assessing the risks and threats to corporate activities, and of working alongside indigenous governments, peoples, and other agencies to mitigate the risks (whether social, environmental, security, political or otherwise) to corporate activity. Such a team need not all be held on the company pay roll. Indeed, in order to retain credibility with stakeholders it is important to retain independence so participants may be brought in as required on a consultancy basis. Third-party participation will almost certainly be necessary for the key stage of the planning process when the plan is war-gamed against a red team, which is there to help spot weaknesses and improve performance. No military commander would launch an operation without war-gaming the plan to determine the friction points or risks and, therefore, the necessary contingency plans or mitigation strategies. Clearly, business leaders are not facing an enemy in the same way that a military commander might. However, they will face friction, the law of unintended consequences and Murphy’s Law, which dictates that if anything can go wrong, it will, and at the worst possible time. Rigorous war-gaming or scenario testing will minimise the risks of this happening. Underpinning everything is the information domain, for information is a strategic instrument in its own right, with influence being the desired product. Winning the battle of the narratives means telling the more compelling story, hence the importance of putting strategic communications at the heart of strategic planning and executing a sophisticated and well-planned influence operation to reassure stakeholders, deter and prevent potential risks, and protect company reputation. Vision, strategic direction, innovation and the ability to motivate and inspire while maintaining the drive, discipline and financial sense required to make a profit will remain fundamental requirements of business leadership. However, commercial success, particularly for those companies engaged in mining, drilling and building major infrastructure projects in complex, volatile and uncertain environments around the world requires more than purely commercial capabilities in a straightforward commercial context. 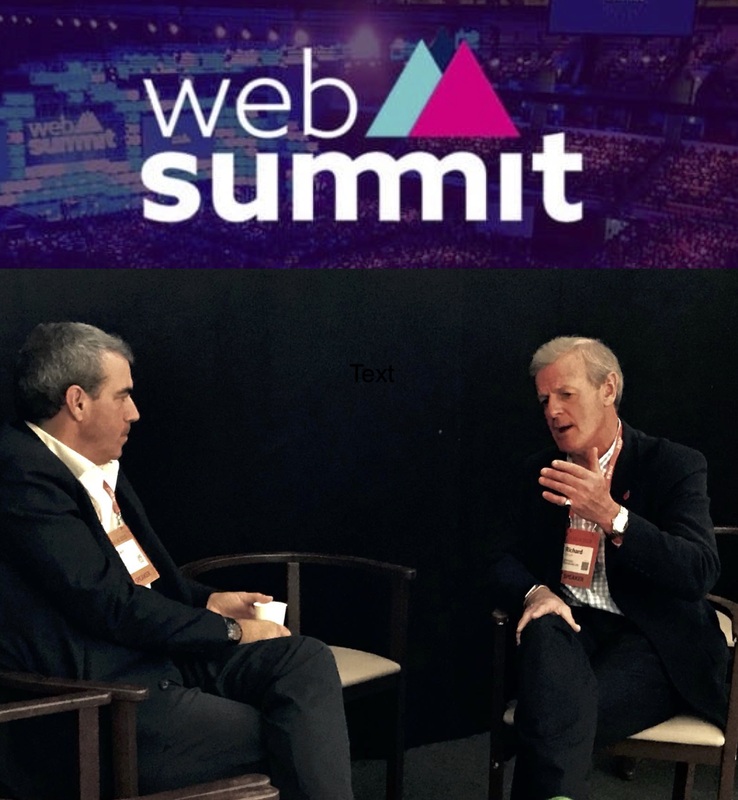 Success, today and in the future, depends on the achievement of unity of purpose and effort with other non-commercial players in the business space. Leadership and corporate planning must adapt to meet the challenge of achieving truly integrated planning and execution with other stakeholders if risks are to be minimised, company operations secured and profits maintained.